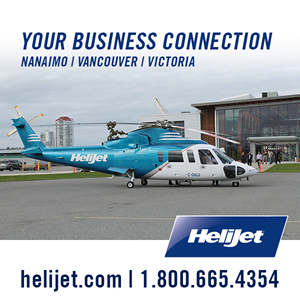 Helijet is one of the largest providers of Air Medical services in Western Canada. Based at Vancouver International Airport and Prince Rupert – Seal Cove, Helijet Air Medical is contracted to operate Air Ambulance Sikorsky S76 helicopters on behalf of the BC Air Ambulance Services. Whether responding to life threatening emergency calls or requests for patient transfers, Helijet provides a vital air ambulance liveline for communities throughout North America. Since 1998, Helijet has been contracted to provide helicopter transport for the British Columbia Air Ambulance Service using air medical equipped Sikorsky S76 helicopters. Helijet’s commitment to Air Medical Transport has continued to grow and evolve to include a base in Prince Rupert, opened in 2011, adding another Sikorsky S76 air ambulance to the north coast of British Columbia. From our bases at Vancouver International Airport and Prince Rupert – Seal Cove, a dedicated team of pilots and engineers are on call 24/7 to aid the need of the adult and infant ambulance services. The twin-engine helicopter and its dedicated crew are on stand-by 24 hours a day, 7 days per week. This Sikorsky S76 is configured to accommodate up to 2 stretcher patients and 4 medical attendants. The aircraft is primarily used in patient transfers within a 100 mile radius of its Richmond or Prince Rupert base to or from hospitals, airports and/or on-scene calls. To learn more about the services provided by and the history of the BC Air Ambulance Service, visit their website. 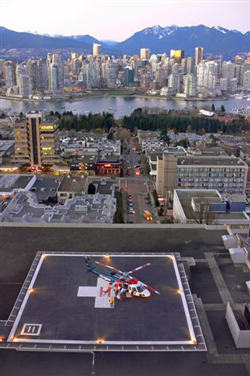 Helijet’s nearly two decades of air medical service gives its management and crew a wealth of knowledge. Aircraft requirements, training, operations and management of equipment are all areas of expertise that can be shared when consulting with the Air Medical Operations team.